BOMA San Francisco Government Affairs & Industry News for Commercial Real Estate Professionals: November Election Candidate's Profile - BOMA San Francisco Endorses Supervisor Rafael Mandelman in District 8 - Learn More About Rafael + Volunteer and Donate! November Election Candidate's Profile - BOMA San Francisco Endorses Supervisor Rafael Mandelman in District 8 - Learn More About Rafael + Volunteer and Donate! 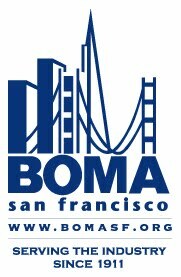 The BOMA SF-PAC has endorsed Rafael Mandelman for supervisor in District 8. Please take a moment to learn more about Rafael and, if you are so inclined, consider a donation to his campaign and/or volunteer. Click here to donate to Rafael's campaign. Click here to volunteer for Rafael's campaign. Rafael Mandelman is running to represent District 8 on the San Francisco Board of Supervisors. As an urban development attorney, Rafael has spent the last 17 years building affordable housing, revitalizing commercial districts and making more livable neighborhoods in the Bay Area. He is running to bring practical, real world experience to the Board, cut through the ideology and pessimism, and bring big solutions to the problems facing San Francisco. Growing up in the City, Rafael attended Brandeis Hillel Day School and Lick-Wilmerding High School before going to Yale on scholarship. While at Yale he studied affordable housing and community development—returning in the summer to teach at-risk San Francisco middle school students. After receiving a masters degree in public policy from Harvard and a law degree from UC Berkeley, Rafael returned home to San Francisco. As a District 8 resident for the past two decades, Rafael has been a strong advocate for D8 neighborhoods as President of the Noe Valley Democratic Club, Commissioner on the San Francisco Board of Appeals, Chair of the San Francisco LGBT Center, and President of the District 8 Democratic Club. As an urban development attorney, Rafael has helped build thousands of affordable housing units all over the Bay Area. He sweats the details, doing what it takes to make affordable housing and livable communities a reality. Rafael’s commitment to building housing and ending homelessness is personal. When he was eleven-years-old, Rafael’s mother’s mental illness started her spiraling down a path that led her into repeated hospitalizations and ultimately homelessness. Rafael became responsible for his own care—finding housing, getting himself on Medi-Cal and to his own doctors appointments, and getting himself through high school. As an adult he was able to secure a guardianship for his mother, and find her the long-term care she needed. It was a path made possible by the dedication of educators in Rafael’s life, and making sure San Franciscans have access to education is why Rafael ran for City College Board of Trustees in 2012. Elected by a wide margin, Rafael became President of the Board. He was widely acknowledged for steering the 80-year institution through its recent accreditation crisis. A strong advocate for students, Rafael was praised for his cool head and for not being afraid to make hard calls to save the institution. His leadership ensured that City College would weather the crisis and implement new innovative programs like Free City College. Rafael now seeks to bring his experience to the Board of Supervisors, and be the dedicated, hard-working representative that District 8 deserves.